So you’ve purchased your hosting and have “Unlimited Domains”, but you don’t know how to put it all together? 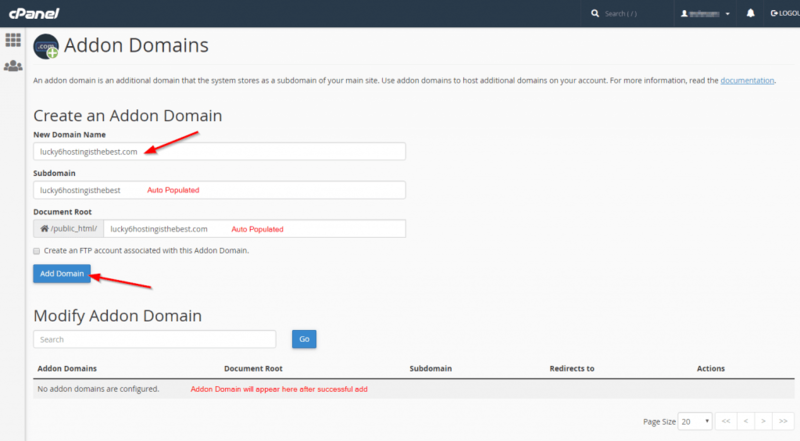 In this article we’ll be showing you exactly how to setup multiple domains and have them all hosted under the same account. After you have registered your domain, you will need to add the domain to your hosting service. You will do this through the Addon Domain section of your cPanel. There are two ways to login to your control panel. If you know your cPanel login information, you can login at https://yoursitename.com:2083. 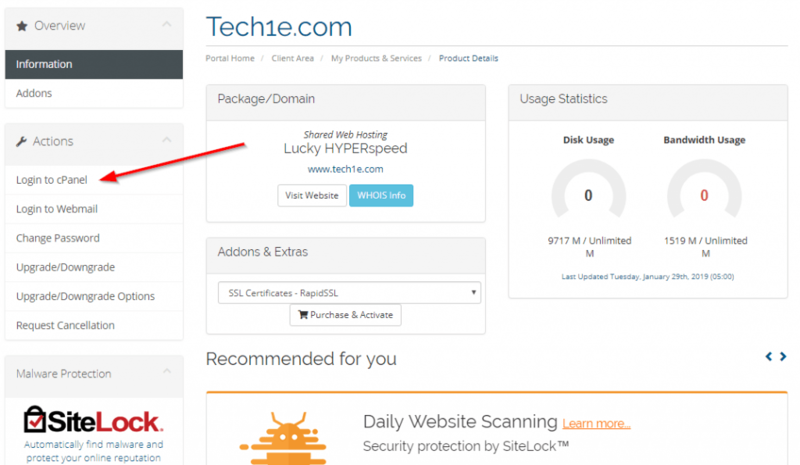 (Note: you only have ONE cPanel account per hosting service. yoursitename will be the main domain that your hosting service is registered with). If you do not know your login information you can follow these steps. Login to your Lucky 6 Hosting account Here and click on Services (pictured below). Then click on the hosting service you want to add the domain to (hosting services distinguished by “main” domain). 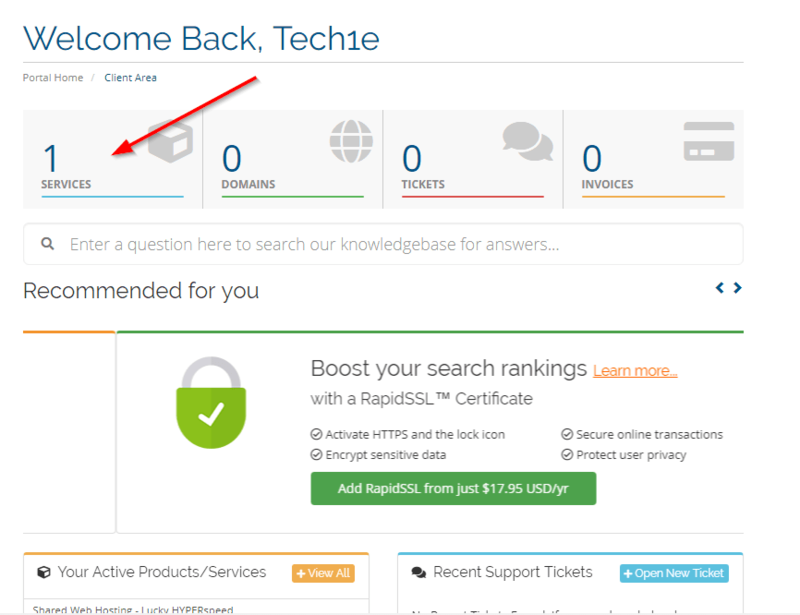 Once you have selected the service, simply click “Login to cPanel” on the left sidebar. 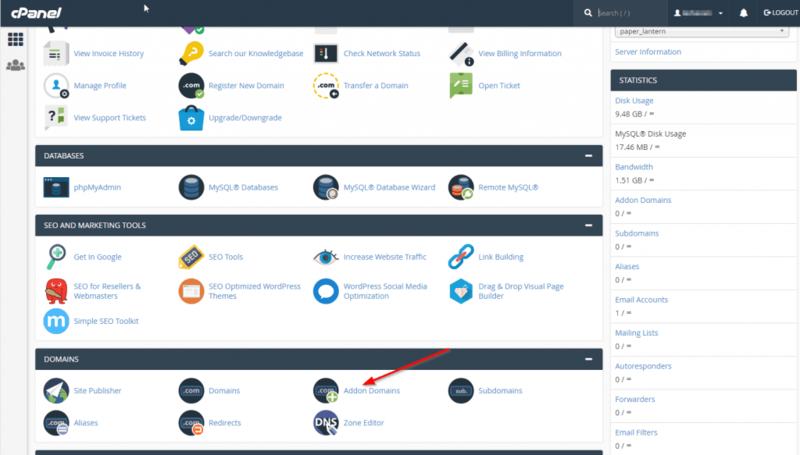 Within your cPanel, you can use the search box at the top to find “Addon Domains” or you can scroll down to the Domains section and click on Addon Domains. You will be taken to the Addon Domains section where you will need to enter your newly registered domain name. The Subdomain and Document Root will auto populate once you fill in the “New Domain Name” portion and you can leave those values as whatever they default to. Finish by clicking on Add Domain. 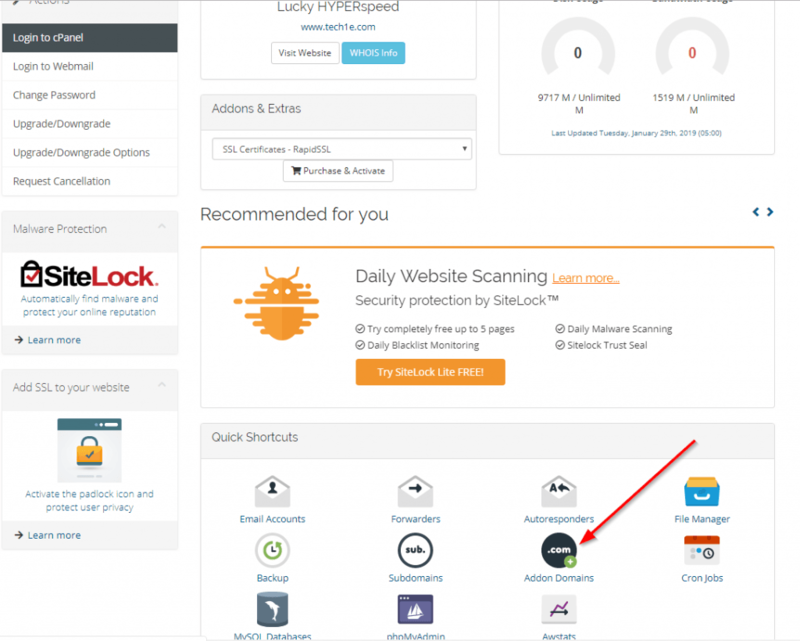 Another quick way to go directly to Addon Domains is by logging into your Lucky 6 Hosting account and clicking on your Hosting Service. Scroll down to Quick Shortcuts. You will see an Addon Domain shortcut that will take you directly to where you need to be.